If you picture ADHD as a condition that involves constant motion, you’d be right…and wrong. Some kids are physically hyperactive, while others are mentally hyperactive, and still others are both and/or emotionally intense. ADHD looks different in different kids. And that means that homeschooling a child with ADHD calls for some serious adaptation on the part of the homeschooling parent. 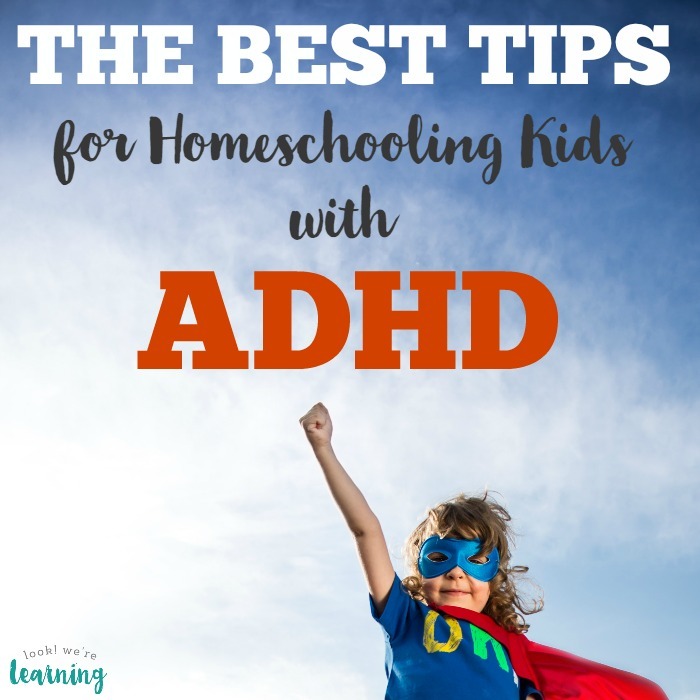 Over the years, we’ve learned a lot about what works and what doesn’t, so I’ve rounded up 10 of the best ADHD homeschooling tips around. Read through these and try them with your kids! 1. Read as much about ADHD and ADD as possible to find out how this disorder can affect children. Then be willing to incorporate as many learning strategies as you can. 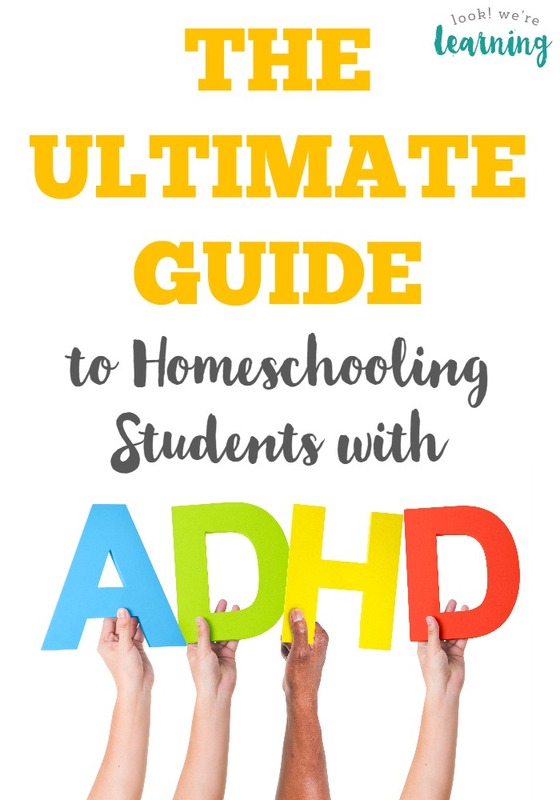 Here’s a list of my must-read books for ADHD homeschooling parents. 2. Stop trying to create the “ideal” homeschooling life. You know that mental picture of the parent smilingly teaching several children at the kitchen table? Yeah, forget that. Here’s why. 3. Spend some time watching your child to find out which type of ADHD he or she has. Learning how the disorder affects them personally can give you valuable insights into how to teach them. Brush up on the different types of ADHD for more. 4. Create a daily routine for your child that is ADHD-friendly. Bear in mind: This will NOT be a timed schedule, but a daily framework he or she can come to expect. Learn more about how to develop an ADHD daily routine that works for you. 5. Help your child set realistic learning goals that are tailored to his or her abilities. Then encourage them to meet those goals. Read more about how to help kids with ADHD meet their learning goals. 6. Consider making lifestyle changes to help your kids with ADHD sleep better at night. It’s a fact that kids learn better when they’re well rested. (Don’t we all?) Find out how to help your child with ADHD improve his or her sleep habits. 7. Adapt your teaching methods to suit your child’s attention span. While we want to help our kids learn to concentrate, they simply won’t if we teach them in the traditional manner. Here are a few ways to change up your teaching methods for kids with ADHD. 8. Use hands-on math activities. Math is often a headache for kids who have ADHD and/or attention issues. Executive functioning problems can make it difficult for children to follow a math problem through to the end and execute the required steps to solve it. 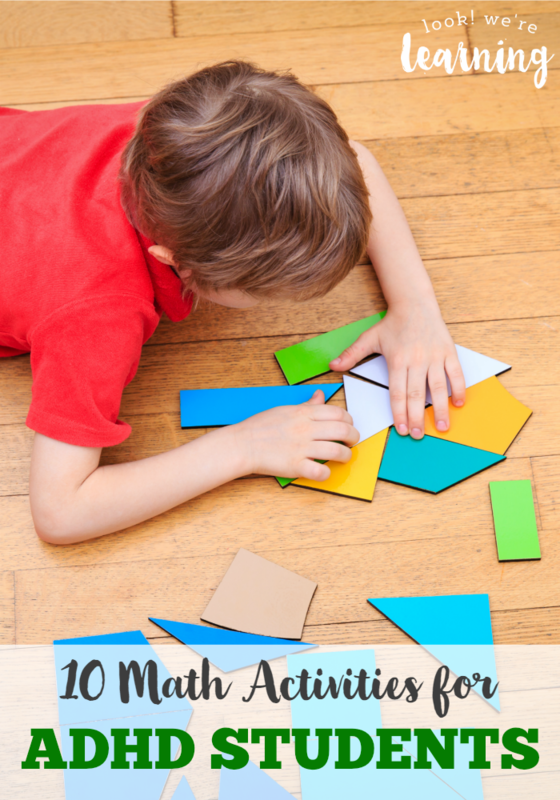 Get some ideas from this list of math activities for ADHD students! 9. Limit the use of screens in your child’s day. Kids with ADHD who have a lot of screen time each day often struggle with attention span more than those who don’t, which can make homeschooling tougher. Take a look at how you can set screen time limits for your kids with ADHD. 10. Use a flexible homeschooling schedule and always, always, always be willing to change it. Try this list of 15 homeschool ADHD schedule ideas! 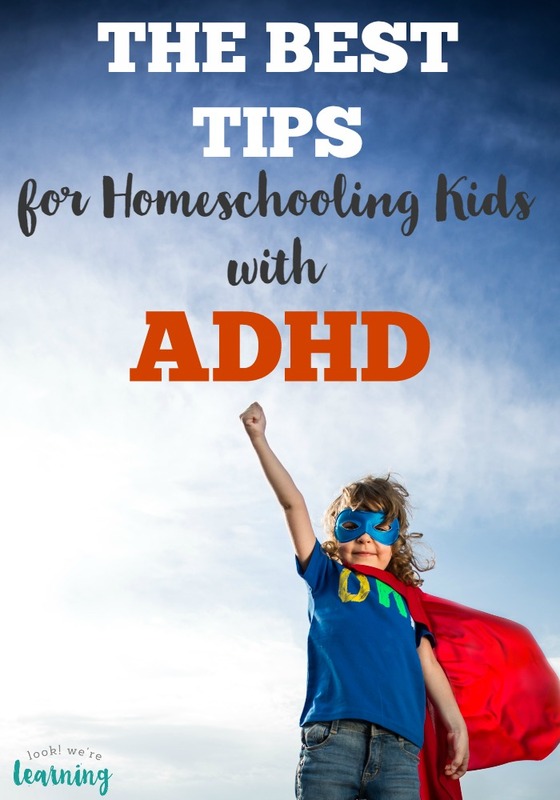 Want more ADHD homeschooling tips? Don’t miss these posts! 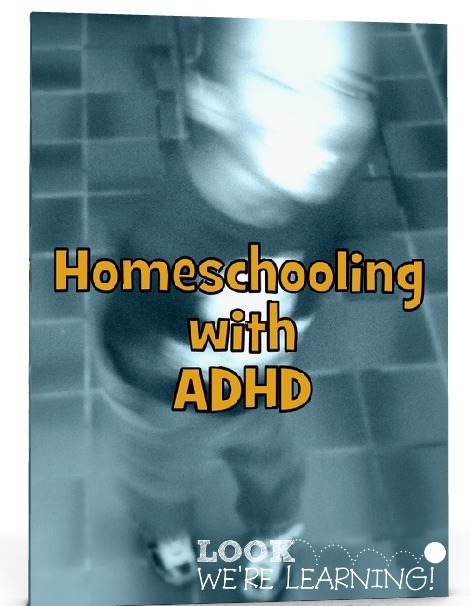 And for more support, grab a copy of my ebook “Homeschooling with ADHD”! Follow my ADHD Tips board on Pinterest for more ideas!